Rather than crucifying the use of coal, why not develop newer and better coal-fired power plants, operating at higher temperatures and pressures while emitting fewer emissions? Actually, such plants can be built. They are referred to as ultra-supercritical coal-fired power plants. They deserve the moniker of clean coal. Coal is cheap and available in many parts of the world. Coal is the hope of millions of people for access to electricity. Without electricity, people live in poverty and die at a young age. Depriving the poor of coal-fired electricity is a crime against humanity. No other energy source is so abundant and so widely available, with the ability to generate large amounts of electricity, cheaply and reliably … 24 hours per day, 12 months per year. We in the United States are lucky. We can toy around with mindless ideas because we have abundant supplies of natural gas that can supplant coal; but even here, we are causing people economic harm with the war on coal. Ultra-supercritical coal-fired power plants operate at very high temperatures and pressures of over 1100 degrees F and 4300 psi respectively, with a thermal efficiency of 44% HHV. In contrast, virtually all U.S. coal-fired power plants in service today operate at lower temperatures and pressures, with an average thermal efficiency of only 32%. As a result, USC power plants are nearly 40% more efficient than existing coal-fired power pants. In addition, they emit nearly 40% fewer emissions of all types, simplifying the elimination of emissions of SOx, CO2, particulates, etc., by comparable amounts. USC power plants can meet all EPA emission requirements, except for CO2. These improvements are made possible by advances in metallurgy. Research in materials is continuing, so it may be possible to develop Advanced Ultra Supercritical (AUSC) power plants where temperatures are over 1300 degrees F–and where efficiencies of 50% HHV may be possible. 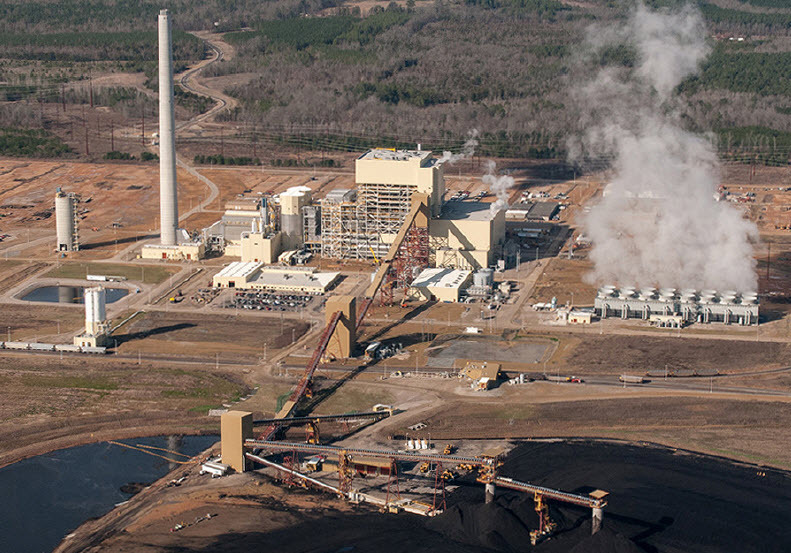 Only one Ultra-supercritical coal-fired power plant has been built in the united States. It’s the obsession to eliminate CO2 emissions that is keeping the United States from benefiting from USC power plants that use less coal and produce fewer emissions. Access to electricity is essential for eliminating poverty, and coal is the only cheap and widely available source for generating the needed electricity. It’s for this reason that China, and developing countries in Africa and elsewhere, are building coal-fired power plants. China is building USC plants, reportedly one each week. Globally, the use of coal in 2013 grew by about 50% more than the use of oil–and three times that of natural gas. A new report by Robert Bryce, Not Beyond Coal: How the Global Thirst for Low-Cost Electricity Continues Driving Demand for Coal, contains considerable information on the use of coal and is quoted here. In other words, even with energy access as defined by the IEA, people in developing countries would have access to quantities of electricity that Americans would consider unacceptable. No one doubts that renewables have been growing at a rapid rate; but in 2013, renewables only supplied 2% of electricity globally–and that was primarily in Europe and the United States, where governments mandated and subsidized their growth. Poor governments can’t afford to spend money on renewables that are costly, unreliable, and ineffectual. Coal use will continue to grow, with China being the largest component of that growth. By 2040, China is expected to add 400 gigawatts of coal-fired generating capacity. For comparison purposes, the United States currently has 300 gigawatts of coal-fired generating capacity; so China will increase its coal-fired generating capability by more than the total existing coal-fired generating capacity of the United Sates. It’s obvious that CO2 emissions will increase globally, no matter how much the United States cuts its emissions. Cutting CO2 emissions in the United States is a fool’s errand from any perspective. But there are also other countries desperately in need of electricity. There are 400 million people in India who lack electricity, with the average Indian consuming 600 kilowatt-hours per year (kWh/year). In Indonesia, consumption is 629 kWh/year. In Africa, only 32% of the people have access to electricity, with many located in only a few countries such as South Africa. For example, per capita usage in South Africa is 4,819 kWh/year, which compares with countries such as the Central African Republic at 29 kWh/year, and Chad at 8 kWh/year. Coal-fired power generation is the only cheap and abundant source of electricity for people in countries such as these. Coal should be seen as a life saving, poverty-eradicating source of energy. Ultra-supercritical coal-fired power plants can be a boon to civilization, and the United Sates should be taking a leading role in supporting and developing Ultra-supercritical coal-fired power plants around the world. Read more of Donn’s pieces at his blog, Power for USA. All I see are my electric bills continually increasing thanks to the completely false claim that coal is destructive to the environment. Wind and Solar do more damage than coal ever will. Relative to cost the only way wind and solar survive is by being subsidized by our tax money. The imposter in the WH and his main henchmen the EPA are destroying our economy based on a completely false assertion that CO2 is bad and must be eliminated. Whoever started that myth should be hung by his/her thumbs. They have corrupted science just to enhance their pocketbooks. It is excellent thought related to use of coal that to produce innovative and improved coal-fired power plants by operating at high temperature and pressures while producing fewer emissions instead of crucifying the use of coal. And being as part of best essay writers UK and human, I admit that it is also our responsibility to produce and increase natural resources which can reduce impact of the climate change. The best part about reading post versus mainstream content is that they dive into real-life experiences and render lessons which add value other lives. This post not only offer an insightful viewpoint on marketing, but also delivered solutions on how to to a attain this philosophy. Great post. If you ever need online pass4sure N10-005 real questions tutorials or a platform let us know. Let’s collaborate on something soon. Minerals are important nutrients which might be required intended for optimal health and fitness in men and women. Mineral imbalances may result in osteoporosis sizzling flashes, infertility, anemia, weakness, PMS, hormonal asymmetry, and a range of other health concerns. We have a long brand of advantages connected with acupuncture that's made that therapy an exceptionally famous one everywhere over the world. I will probably indicate by far the most widely known wellbeing issues that make it is advisable to look a great acupuncturist. Though consumers try to find affordable medical care insurance, they include price into their mind for the reason that top top priority. A normal conception one of many consumers is usually that cheap medical care insurance must not be costly-the cheapest medical care insurance plan you can buy is the target. This National Health and fitness Service (NHS) seemed to be setup because of the government to produce healthcare for everyone residents on the UK and is particularly funded by means of public income tax. This service will be based upon people’s desire for healthcare rather then their ability to afford it. Only a few health pills were created equal – many may do your whole body more cause harm to than beneficial. So prior to buy health and fitness pills, keep the strategies presented in intellect: 1. Address health products like drugs.